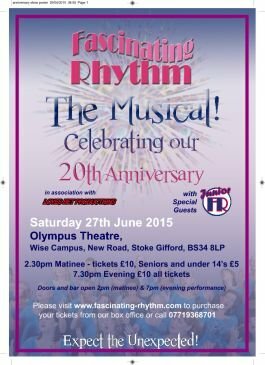 Close harmony singing chorus, Fascinating Rhythm, are celebrating their twentieth anniversary with a concert on 27th June at the Olympus Theatre, Stoke Gifford. Alice Dagger, Marketing Manager of Black Cat Music, said, “We congratulate Fascinating Rhythm and wish them every success with the 20th anniversary celebration concert.”Wimbourne, South Gloucester based Fascinating Rhythm describe their style as an all female, close harmony singing chorus with a repertoire that includes pop, ballads, easy beat and traditional barbershop. Tickets for the concert can be purchased online.